What’s the difference between a power eBay seller and someone who struggles with selling items on eBay? It’s all about attention to detail and a few power-seller tips that will drive more success. At the end of the day, the listing page is your number one salesperson, albeit a virtual one. Many people overlook the importance of the details in the listing page, and even the look and style of the page itself. Think about when you go into a real-world store, will you buy from a salesperson who doesn’t answer your questions? Furthermore, would you buy from that salesperson if they hadn’t showered or bothered to wear some clean clothes? Probably not. So, in the online world, and in particular the eBay listing page, we need to make sure it has all the answers to what people need to know, and that it looks the part. Let’s venture in and discover how we can make our number one salesperson work just a little harder for us with a few tips for selling on eBay. The title is fundamental to the success of an eBay listing on two levels. Firstly, If people don’t see your listing they are never going to buy what you have for sale, so you need to be able to be found. It’s important that the words in your title not only represent what you have up for auction but also match the search terms that people use on eBay. You can discover the words people use via tools such as at Terapeak.com or Hammertap.com. You can also use other online keyword tools such as adwords.google.com or wordtracker.com to help establish what words people use when searching for your item. Use all of your title space. There are 80 characters available, so use them. Be specific about your item. The second important factor about the title is being able to gain a persons interest, considering the hundreds of listings that appear after they have completed a search, how do you make them click on yours? One way is to use power words, especially power words that are relevant to your item. Examples of power-words include Absolutely, Adorable, Clear-Cut, Easy, Safe, Solution, Yes, You and many more. Do a search on the web for power-words and find ones that relate to your item. Do a quick search on the web and you’ll find loads of tips for setting up your camera to take great photos for your listing page, so there’s no need to rehash them. But do put some effort into getting the photos/photos clear and sharp. Make sure you expose the beauty or the key features. If it’s something expensive, like a car, more photos the better, show the potential buyer there’s nothing to hide. If there is a fault, put that in the photo too, the potential buyer will respect your honesty and you’ll have fewer hassles after the auction ends. Pay attention to image sizes and the image you select for the gallery picture. The gallery picture used on eBay (the one you see in the search results) is a 140px x 140px square, be sure to make maximum use of that all important space and use an image that looks clear at that size. Whilst you never want to mislead or misrepresent your product you should be illuminating all the value that your item offers. Speedy, registered delivery – Get it Fast! You should be able to write a long list, ask other peoples opinions if you get stuck. This list will help you to write your product description and illuminate all your products value. The third column will help you with the next most important thing to cover in your listing which is building buyer confidence. Always remember the person, whilst somewhat protected by the eBay/Paypal system is still taking a leap of faith in handing over their cash in the belief that they are going to get what you offer. Imagine all the doubts that must be going through that persons mind when buying. This is key. And for many people these doubts will differ. Am I paying too much, can I get cheaper? Can I return it if it doesn’t fit, suit or even work? How about delivery, will I even get it, what happens if I don’t get it? Is it the latest type/design? Some of these questions are answered within the eBay system itself, for example, if they don’t receive the item they can file an ‘item not received’ case via Paypal. But, it will give the buyer more confidence if you can also reassure them by providing your own clear-cut procedures/policies for dealing with non-received items, faulty items, etc.. 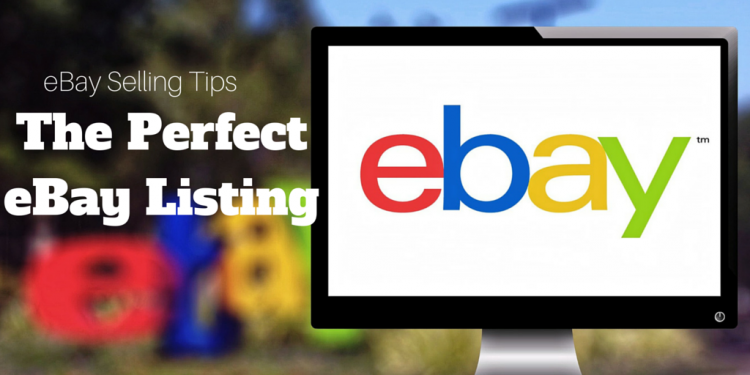 Many sellers, especially eBay store owners, will use logos to help add confidence. Such as the logos of the freight companies they use or recommend, their own ‘quality assurance logo’ or maybe even an image of the old red seal. These images can help to add to the perceived professionalism and attention to detail of the seller. My final eBay selling tip is to draw on the experience of seasoned sellers. Find the top sellers in any category and go over their listings and take note of what they doing and not doing. pulse.ebay.com.au should be able to put you on the track to locating some top sellers. Very important: Be clear about eBays guidelines and policies, and always be honest and truthful. It’s one thing to sell a product but with eBay, just like any business, it’s all about delivering what you promise and having happy customers that are willing givers of 5-star feedback.